2017 is almost here and it’s time to take this opportunity to start anew! Don’t worry if you haven’t made your New Year’s Resolution yet – it’s not too late to make one now. With these 5 easy resolutions, not only will you be taking small steps towards bettering yourself, but you’ll also be able to achieve your goal of becoming and staying healthy! Whether it’s by yourself or with a friend, go on a walk for 10-20 minutes every day! 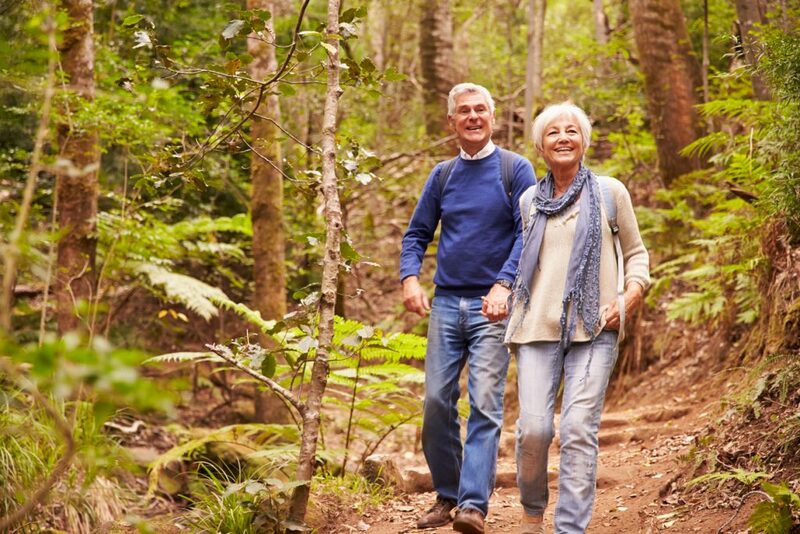 Studies show that physical activity can reap huge health benefits for seniors. Walking for just 20 minutes a day can help decrease your risk of developing diabetes, high blood pressure, heart disease and more! If you can’t walk for 20 minutes straight right off the bat, don’t get discouraged! Your endurance will naturally build up over time as you make this a regular part of your routine. 2. Skip Dessert or Opt for the Sugar-Free Option. Sweet treats are undeniably satisfying, but over time, regular consumption can lead to unhealthy weight gain and risk of high blood sugar! In the New Year, make an effort to skip dessert or choose the sugar-free option if you must! Overtime you’ll see how this decision has benefitted your health. 3. Visit or Write your Grandchildren. It’s proven that seniors who stay connected with family and friends are more likely to feel content. While location and mobility can limit how often you physically see your grandchildren, the art of a handwritten letter isn’t lost just yet! If you’re struggling with writing, try typing on a keyboard. 4. Rekindle or Find a Hobby. Often seniors forget all about the hobbies they used to enjoy for hours on end. Use this new year to reconnect with yourself and your old quilting project or birdwatching book. In fact, you can even turn your hobby into a community service and have it serve a greater purpose! For example, if you love knitting, why not try connecting with a local hospital and knit caps for newborn babies? If you don’t have a hospital nearby, consider knitting gloves for the children at your local family shelter! These are great ways to motivate yourself and find joy in your life again! This year, you can experience a sense of purpose and satisfaction by helping others in need. From lending a hand at local food shelters to visiting other seniors in your community, there are endless opportunities for you to make a difference! May 2017 be a year packed full of positive change for you! We can’t wait to hear about the difference you’ve made in your life! For more information on how to help yourself or a loved one, transition into a healthier lifestyle, contact us at 925.271.9100. Wishing you a healthy and Happy New Year! Where Are You Needed This Holiday Season?